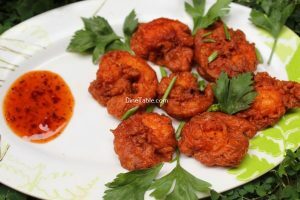 Prawns 65 is a good snack or side dish enriched with the goodness of prawn and flavors of garlic and other spices. 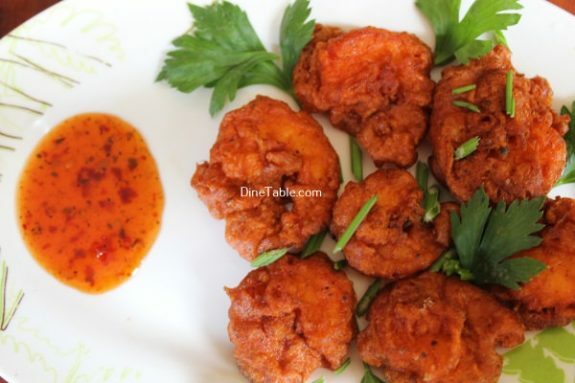 This is a spicy and wonderfully tasty appetizer. Prawns are rich in omega 3 fatty acids which are good for our heart. Fatty acids are also helpful in fighting against diseases like Dementia and Alzheimer. They are excellent source of low-fat and protein and are abundant in vitamin D and good source of vitamin B12. 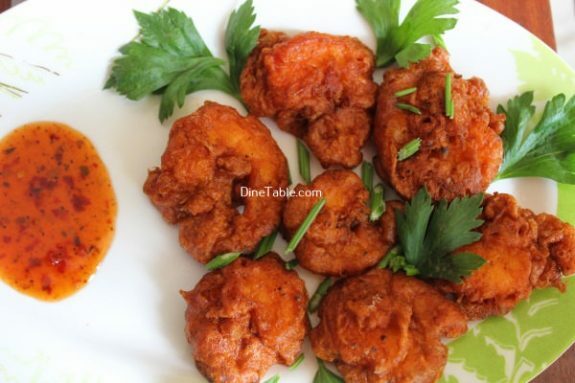 Prawns are rich source of Selenium which helps to prevent the growth of cancer cells in the body thus it helps in preventing cancers in the body. Since prawns are very rich source of calcium it is thus very good for teeth and bones. 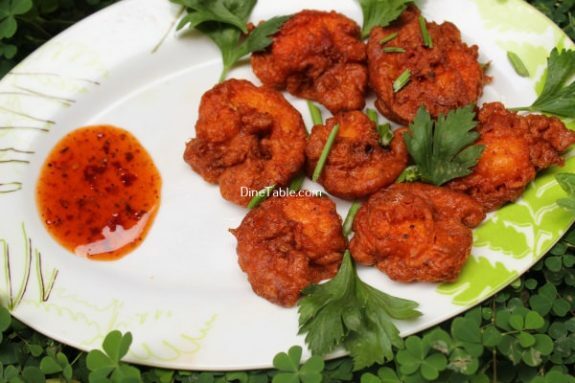 Prawns are rich source of Vitamin B 12. B 12 is very useful not only in keeping memory sharp but also is very good for cardiac health and also is needed by arteries and veins to work properly. Prawns have very less calories as compared to most other meats and thus is very good for keeping the calorie count down and loose weight. 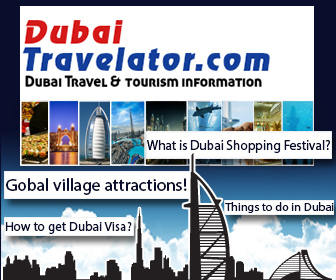 A normal size prawn contains about 2 grams of Fat, 30 grams of proteins and about 125 mg of minerals. 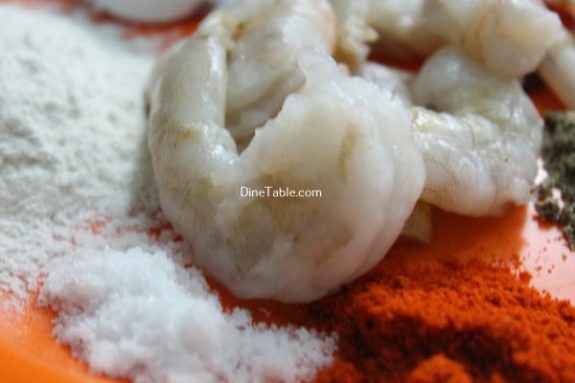 Hope you all try this delicious Prawns Recipe. Clean and devein the prawns. 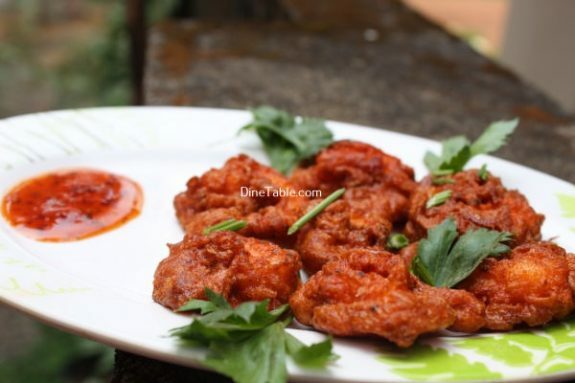 Take a bowl and add corn flour, maida, egg, ginger garlic paste, pepper powder, red chilly powder, orange color, garam masala, lemon juice and salt to make a thick paste. 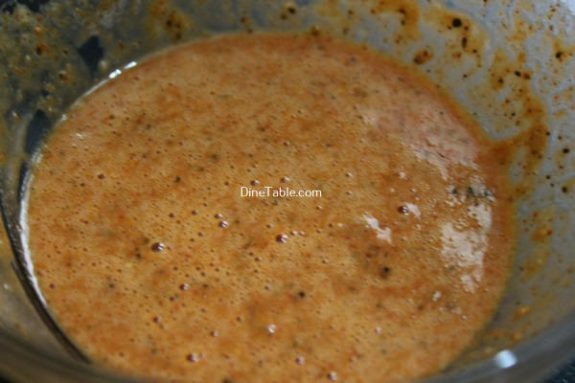 Marinate the prawns with this paste and keep aside for at least 1 hour. 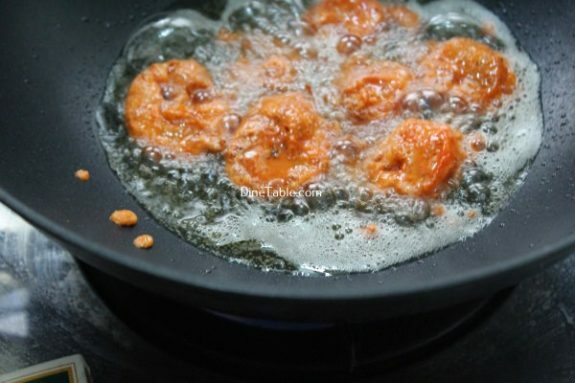 Heat oil in a pan and fry the prawns till it turns crispy. Switch off the flame. 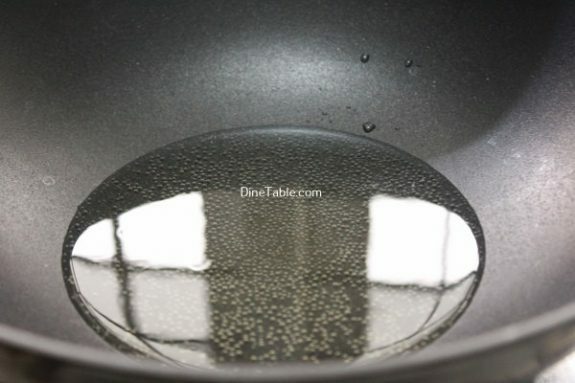 Remove and drain in kitchen tissue. Yummy Prawns 65 is ready. 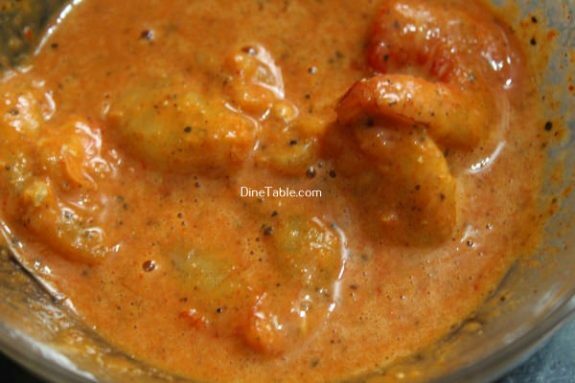 Serve hot as appetizer or starter.